Tom Swift returns in Tom Swift and His Motorboat from the Colonial Radio Theatre. 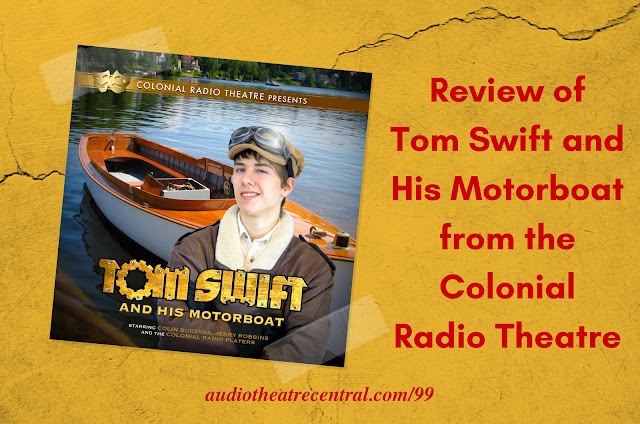 This nearly hour and a half audio dramatization of the classic novel is the main topic of conversation in this episode. The CRT did a wonderful job on this second Tom Swift audio drama and we really enjoyed it. We also have a jam-packed newscast from Roy, a few audio drama tidbits (including some free audio drama) and we address feedback from Lee, Sarah Grace, Amber and Rachel. Liberty University’s The Encounter series has just released the first episode in series of episodes they’re calling The Origin. Lamplighter Ministries has announced the dates for their next Lamplighter Theatre Live event. It will take place on December 3 - 9, 2017. The dates have been changed to January 3 - 9, 2018. The Mysterious Mysteries of Toby Taylor, The Fruit Magician is back! LearnOutLoud.com is offering a download of the audio drama Billy Brown And The Mystery Package for free. 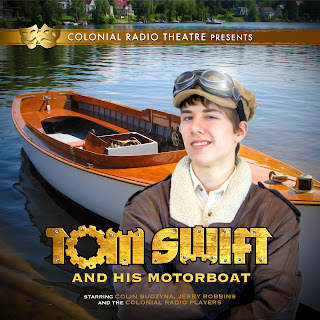 Jared DePasquale has posted a few music cues from the 1st Tom Swift audio drama on his website which includes the series theme.